We have just written about the AMVOX5 and here the AMVOX7 comes. 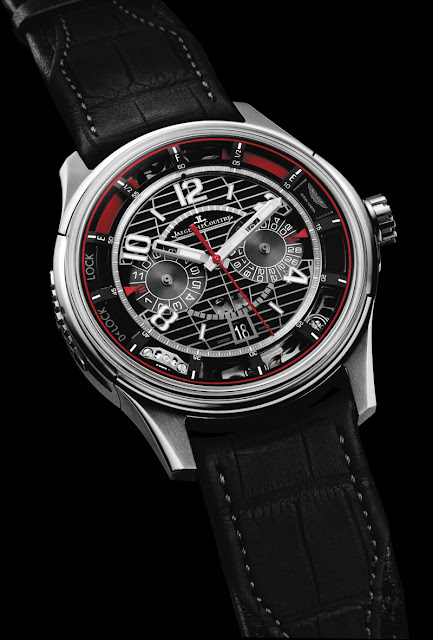 Presented by Jaeger-LeCoultre and Aston Martin, the AMVOX7 Chronograph is the first vertical-trigger chronograph equipped with a power reserve display. The AMVOX7 Chronograph dial motif reminds us of the pattern of the radiator grille of the Vanquish, the brand-new model unveiled by Aston Martin last June. 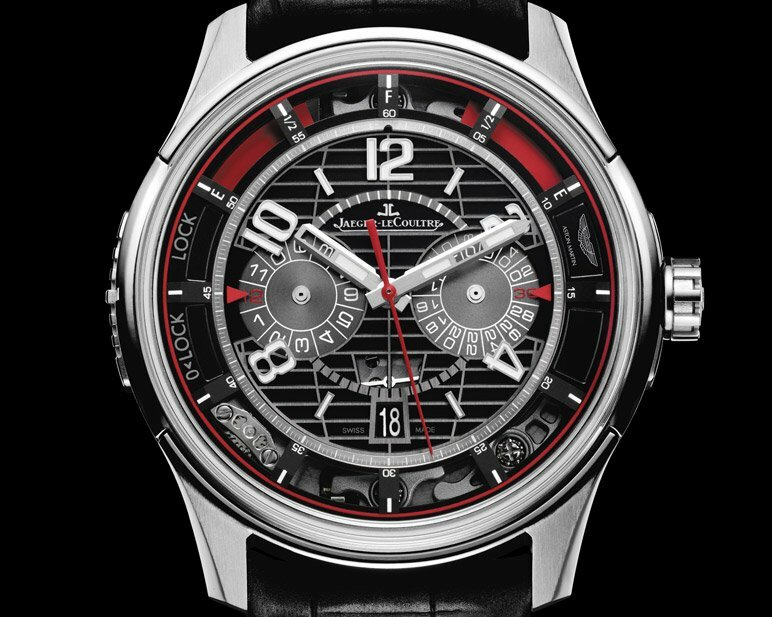 The diversity of the finishes enhancing the various surfaces lends remarkable visual depth to a black dial with anthracite grey counters featuring red and white accents ensuring optimal readability. A new function makes its entry into the AMVOX line: the radial power-reserve display. On the AMVOX7 Chronograph, this indication appears through two apertures in the upper part of the inner bezel ring, on either side of the black dial. When the watch is wound, the red power-reserve discs draw closer as if to embrace the 12 o’clock numeral, and as the barrel winds down, they disappear again in order to gradually reveal the chronograph levers. The 44mm grade 5 titanium case is mainly satin-brushed alternating some polished details. Thickness is 15.64mm. Water resistant to 50 metres. A simple press on the watch glass is enough to pivot the case along its horizontal axis and thus immediately start a new measurement. A press at 12 o’clock starts or stops the chronograph mechanism, while the same operation performed on the lower end of the dial resets the chronograph hand to zero. 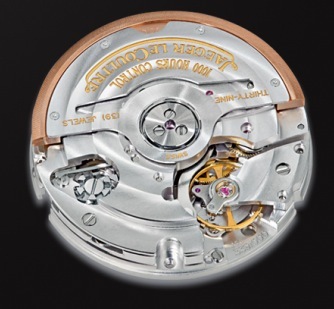 The trigger located on the side of the case serves as a control lever: when placed in its central position, all the chronograph functions can operate. The upper position blocks the chronograph, while the lower position deactivates only the resetting function. The AMVOX7 features the mechanical automatic Calibre 756 with a frequency of 28,800 vibrations per hour and a 65-hour power reserve.